VATICAN CITY (CNS) — The Catholic Church needs bishops who promote unity, “not soloists singing their own tune or captains fighting personal battles,” Pope Francis told new bishops from the church’s mission territories. “And, dear brothers, flee from clericalism, an anomalous way of understanding the church’s authority, one common in many communities where sexual abuse and the abuse of power and conscience have occurred,” the pope told the bishops Sept. 8. While some bishops, “poor things,” think they have “all the talents, all the charisms” necessary to run the church, the pope said that is never true. But what a good bishop does have, he said, is passion for communion with the church and with each and every member of his flock. On the other hand, clericalism “generates a division in the church body that supports and helps perpetuate many of the evils that we are condemning today,” he said, quoting from his letter Aug. 20 to the church about the clerical abuse scandal. 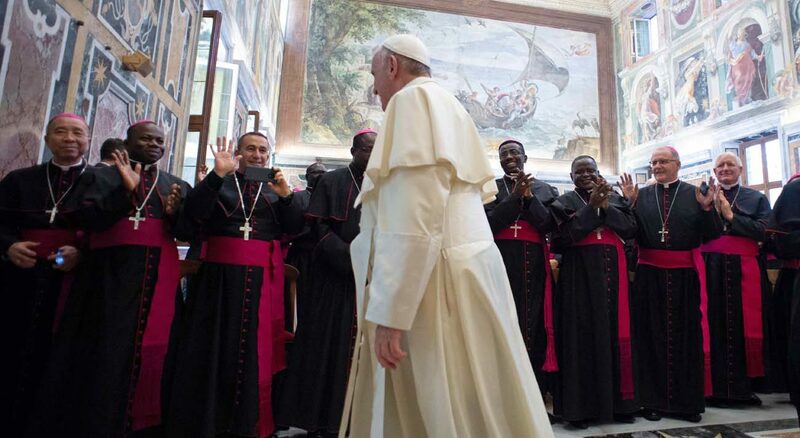 A bishop, Pope Francis told them, must be “a man of prayer, a man of proclamation and a man of communion,” and he must show special care and concern for families, for the defense of life from the moment of conception, for seminarians, for young people and for the poor.